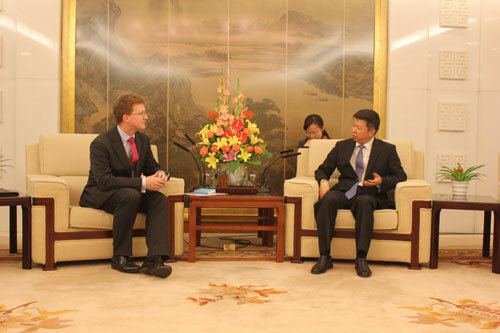 On 25 September 2013, Vice Foreign Minister Song Tao had a courtesy meeting with Stephen Lillie, the new Director of Asia Pacific Directorate of the UK Foreign & Commonwealth Office. Song stressed that China is willing to facilitate China-UK relations on the basis of mutual respect, treating each other on an equal footing and accommodating each other’s core interests and major concerns. He hoped that the two countries may meet each other halfway and maintain a sound political basis for the development of the bilateral relations. Stephen Lillie said Britain highly values the relations with China and is willing to continue to work together with China to expand high-level exchanges, increase political mutual trust and strengthen practical cooperation in various fields.